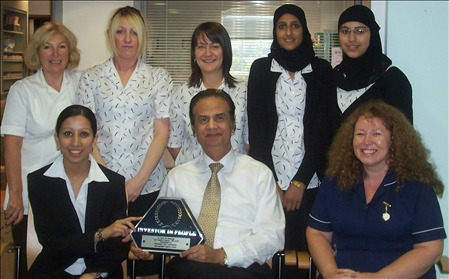 Dr Jehangir’s Surgery achieved “Investor in People” in February 2005. The award came as recognition after the surgery achieved certain targets to further develop the skills of its staff and provide a happy working environment. This award highlights the targets we have met in making sure the staff are happy, given proper development and preparation for the job that each of them carries out. We ensure their skills are fully utilised and up to date by ensuring that the relevant training is provided through courses and really show that, as an employer, we recognise each individual’s value.